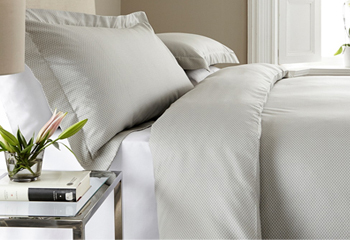 The sateen weave of this fine and luxurious bed linen creates a soft sheen, yet crisp feel. Expertly finished in Portugal from top quality Egyptian long staple cotton yarn. Flat sheets have a two row embroidery on the top hem.